K Vilay: You are listening to the Parentz Pod, the Arizona baby and toddler podcast from First Things First. I am your host, K Vilay. Your child’s early years are really important, and being a parent can be really challenging, but you don’t need to be perfect. We are here to give you some information to help you do the best that you can. 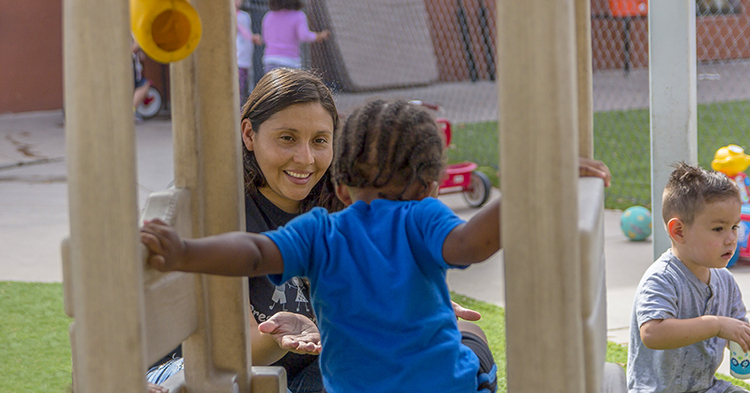 We’ll also let you know about early childhood programs and services available in Arizona to help you support your child’s healthy development. Today, we’re going to talk about the basics of early childhood development, the most important things that parents, especially new parents, and all parents of babies and toddlers, should know about your child’s brain develops, their developmental stages, and their behaviors. We’ll talk about some of the most common questions and challenges that parents have, and some common myths and misperceptions about babies. Our guest today is an expert on early childhood development. DeAnn Davies is the director for early childhood and pediatric psychology at Summit Healthcare in Show Low, Arizona. She has a master’s in child development, counseling psychology, and has worked in Arizona’s early childhood system since 1995. In other words, she knows babies and toddlers, she knows parents, and she knows Arizona. I have had the pleasure of working with her for over 25 years now. She’s been a wonderful support to Arizona’s children and families. Welcome, DeAnn. It’s so nice to have you here with us today. I appreciate all of your experience and your friendship over the years. Currently, you’re working in pediatric practices alongside with young children and their families, talking about child development. Can you talk a little bit more about that? DeAnn Davies: I can. So I work within the model called Healthy Steps, and Healthy Steps is an evidence-based approach created for the medical practices. And it’s created out of Boston, and by some folks who are much more talented than I. And we are able to spend the time with the families that physicians just don’t have in today’s medical model. So during all well child exams, a Healthy Steps specialist goes in with the physician and they talk with parents about brain development and its relationship to early learning, to later successful outcomes for education, and about behaviors. So all parents want to know a lot about behaviors with their infants and toddlers. K Vilay: Brain development is incredibly important in the early years, isn’t it? DeAnn Davies: Brain development is incredibly important in the early years. We can think of brain development as the building blocks for the future, and without achieving all of the building blocks at the fundamental level, it’s very difficult for children to later do what’s expected of them in school. K Vilay: So beginning with that brain development, you mentioned there’s these other parts or pieces of development. Can you explain that a little bit more for us? DeAnn Davies: Well, we break development down into five different developmental domains, we call them. And the first, of course, during infancy, that is the most critical, is social/emotional development. So that means the relationship between the infant and the caregiver. If that gets off to the right start, and an infant learns that when I have a need, my caregiver is going to meet that need and take care of me, and I don’t have to worry about being fed, I don’t have to worry about being distressed, when I cry somebody’s got me, somebody’s taking care of me, and I can trust that the world is a safe place to be. When that doesn’t happen, then we have to backtrack with children and teach them that the world is a safe place to be, and help them understand that they can count on adults for their safety. Without that, they really cannot functionally move on to optimal success. K Vilay: That’s such an important point. I hear from a lot of families some misunderstanding about that issue. And so I hear a lot of families saying, oh, I don’t want to spoil my baby. Every time they cry I don’t need to pick them up. DeAnn Davies: You know, the amazing thing is with Healthy Steps, we are able to visit every parent who has a baby at our hospital before their initial discharge, so before the first time they go home from the hospital after having the baby. And we meet with them for about 10 to 15 minutes, and we talk with them using the newborn behavioral observation, and we’re discussing what it is the baby does know at birth, and what babies don’t know yet. has demonstrated for decades now you cannot spoil a baby by holding them. The opposite is true. When you hold a baby when they need to be held, and just when you need to cuddle – I mean, that’s the beauty of an infant, is you get to cuddle. And when you do that, the baby then learns that this world is a great place to be, and they don’t have to worry. And we don’t want our infants to have to worry about fundamental care. K Vilay: Such an important thing. It’s so nice to snuggle with your baby, but it’s so important for their development, too. DeAnn Davies: Yes. And the woman who gave birth to that baby wants to do nothing but hold the baby, as much as the baby will let them be held, because that time goes by so fast. And before we know it, you know, they’re toddlers, getting into everything, and exploring, and learning that way. And they just don’t have time for cuddles, unless they’re hurt or sick. And so we tell mommies, go ahead and soak it all in. It goes by so fast. K Vilay: So we can’t ever be too responsive or hold our babies too much? DeAnn Davies: You can’t. Now there are some babies who really don’t enjoy being held a lot, so know your baby, and respond to your baby. And don’t think, oh, well, my neighbor’s baby or my sister’s baby wants to be held all the time, and cuddle, and I was so looking forward to that, and my baby just doesn’t really want to be cuddled all that much. It’s okay. Babies are individuals, so respond to what your baby tells you that your baby needs. K Vilay: And I really do believe that parents know their babies best. They’re their first teacher of their child, such a critical role. So I’m curious, though, about the developmental stages that you talked about, the domains. I’ve heard some parents talk about them, sort of steps. You learn one thing and then you sort of move on to the next as a baby. If the baby’s brain development is rolling along at a normal pace and developing in time, then what the baby learns in the beginning will lead to the next step of what the baby will learn next. So yes, development happens like building blocks. One skill builds on top of the one below it. If the one skill below it isn’t so stable or so create, then the next step can be compromised, and that’s where we come into development delays. K Vilay: Oh, interesting subject. Development delays. What does that mean? DeAnn Davies: It means that the baby isn’t quite – or the young child isn’t quite developing at the rate that we would expect, and they’re not doing the things that normally babies do at that age. So we want to take a closer look at that. 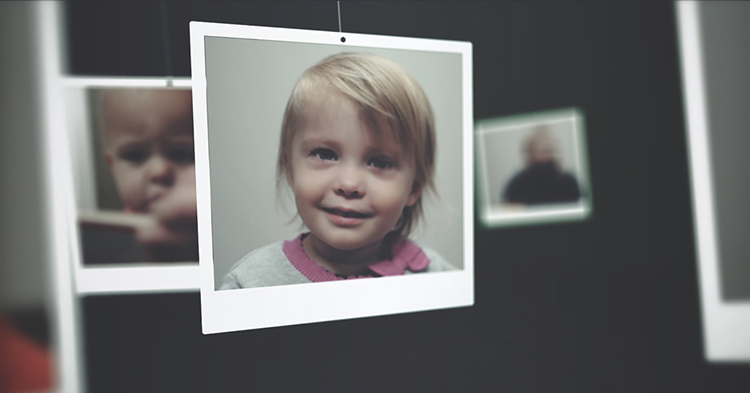 So in pediatric practice, we conduct development screening. So they’re 30 questions in a questionnaire that happen at every well child exam. And we are looking to make sure that the baby is doing all of the skills that we would expect for that age. And we’re just looking at the average. We’re not looking to see if your child is going to go to Harvard by age three. We are just looking to make sure that the development is average. K Vilay: Tell me a little bit more about this idea of the whole child or a holistic approach to child development. You mentioned social/emotional as an important developmental domain, but if you could maybe explain a little bit more about the other parts of development, the other domains, and how that is part of the whole child. DeAnn Davies: Sure. I spend a lot of time on social/emotional, because to me, that’s the predictor of better outcomes in the early years of school. But there are also other developmental domains we’re keeping an eye on, and parents should think about, and one is what we call gross moto, so the way that a child uses their arms and legs and their big muscles. And we want to make sure that children are able to have some tummy time and tolerate that, they’re able to then move into sitting up, and then they’re then able to move into getting from their bottom to their hands and knees for crawling. We want to make sure that they then move up the chain of development to standing along a sofa or a table, and they can pull themselves up to stand. And then, of course, that leads to walking, which then progressively leads to climbing and jumping and running. And so that’s gross motor. And we want to make sure that not only that that’s happening within the expected timeframe, but that there’s quality. And so we are recommending for parents that they not spend more than 20 minutes a day with their child in equipment, including high chairs, walkers, bumble seats, bouncers, jumpers, whatever you can think of. Keep them on the floor. Keep them down where they can practice using those muscles, and they can use their coordination to achieve all of those skills, because when they’re achieving all of those skills, then their brain is also forming and developing. And believe it or not, they’re learning the skills that they need, including time and space, to later set the foundation for early learning and for science and math and things like that. And then we have the fine motor area of development, and those are your little muscles. So the muscles that you use to move your fingers and feed yourself and grab an object, a toy, and put it to your mouth, and explore it that way. So fine motor is very important. And of course, later on, to write. So you want to be able to have that fine motor development build over time, as needed. And then we have the personal/social, which is social/emotional. And that’s the way that you view the world as an infant, and then that progresses into how children are able to communicate their needs, and how their needs are able to be met through that communication, and some of that’s non-verbal, some of that’s verbal, later on. And then how they get along with peers when they go to kindergarten or preschool, they’re practicing those social/emotional/personal development goals. And then, of course, language and communication, and that’s a big one. It starts at birth, when the baby cries or fusses and tells you that they need something, and you respond, or they smile, and you can’t help but smile back. And by the time they’re four months, they understand that when I smile at you, when I reach for you, when I have a bright face, you’re going to have to hold me, no matter who you are. DeAnn Davies: Up until the six month mark, eight month mark, when children might be hesitant to go to anybody they don’t know very well. K Vilay: Oh, stranger danger. DeAnn Davies: Yes. And that’s a special sense of communication, because at that time, they’re developing memory. And so when memory develops, they remember that they may not know you, and they may become a little hesitant. So that’s particularly important when Grandma comes to visit. DeAnn Davies: And as a Grandma, I know that’s true. It was even hard for me, even though I know the science. And so I was like, what do you mean, you don’t want me to hold you. Okay. Okay. I’m supposed to give you time. And so let the baby come to you, and everybody will do well during that period. And then, of course, by the age of one, we want to hear some sounds coming out, and by the age of 15 months, we want parents to start asking babies, what’s that? Because until then, they have identified every object. But at 15 months, babies are then able to express their language. So they’re able to say words. And we want to encourage them to start saying words. And then, of course, by two they’re putting words together, and then it just goes from there. From three to four, they are speaking in complete sentences, and able to have a conversation with you. K Vilay: Excellent. And so it’s really important to read to your child, and sing with them, too, correct? DeAnn Davies: That’s very important for all domains of development, because in singing, you get to clap, you get to use your gross motor, you get to do “Twinkle, Twinkle, Little Star,” and use your eye-hand coordination. You get to have fun, so you promote the social/personal development. And the relationship with your caregivers, and you are memorizing tunes. So if you’re singing “Twinkle, Twinkle, Little Star,” you can hear the intonation even in a toddler trying to repeat that song. So they’re building memory as they’re learning to talk. And all of those skills are foundational, and they’re just fun. And we don’t want to spend too much time on, you know, top down teaching. We want to spend a whole lot of time on having fun. K Vilay: So it sounds like everyday moments help support all of these domains of development, and really, the parents and the adults in the child’s life all help support and nurture this kind of development. DeAnn Davies: That’s right. And every experience every day matters. You don’t have to over-teach to your child. You can incorporate fun within giving a bath, within eating. Just talk about it. And even if a child is eating something they don’t like, you can make a funny face and say, ooh, you didn’t like that? Ooh. And you’ll both laugh and have a good time, and you’ll distract from the fact that the food tasted horrible, but the moment was fun. DeAnn Davies: So maybe they’ll try it again, because they want to repeat that moment of fun. K Vilay: So it’s not really about the stuff. Like I don’t have to buy the right toy or the perfect seat for them to sit in, or – it just sounds like you really need to be present and enjoy your child. DeAnn Davies: It’s true. I think today that parents are marketed to a great deal, and that they feel the pressure and the stress that if they don’t have all of these things, then how can they possibly be a decent parent? The opposite is actually true. Babies need you. You are the person that they need most. You are their best toy. And with that, you will have a much better outcome than if you get your one year old an iPhone. K Vilay: So I do want to ask a little bit more about tummy time. Whenever I’ve talked to families, moms, they get so frustrated. They hear from their pediatricians or they hear information out in the world, on the internet, put your baby on their tummy, tummy time. They try it, and the baby cries or screams, and they’re really struggling with it. DeAnn Davies: That’s one of the most frequently asked questions, by the way, because you’re right. Everywhere, they are hearing tummy time is important. K Vilay: Yeah, how do you do that? DeAnn Davies: – in a successful way. You can put the child on their tummy when it’s a good time for the child to play, not when you’re ready, but when the child is ready. And when it’s play time put them on their tummy. Get down on the floor with them. Look at them face to face, so they can lift their head, because they do want to see you. And when they see your expression on your face that says to them, this is fun, you can do it, you can do it, come on, lift your head, there you go, there you go, and then they lift their head, and they’ve worked so hard to do that. Reward that by rolling them over on their back and giving them a little break. If they fuss, you can also turn them on their back and let them take a little break. And tell them – narrate that for them. Tell them, oh, it looks like you’re not having a good time. It looks like you’re working so hard. Let’s give you a break. And turn them over. And then let them recover for a few seconds, and put them back on their tummy, and do that again. And we have a three strikes rule. So the third time that the baby gets upset and doesn’t want to do it, then you pick the baby up and comfort them and reward them, and give them lots of praise for trying. So it isn’t so important that it’s prescribed. We don’t say, do tummy time three times a day for twenty minutes each time. That’s not a realistic expectation for an infant. So if the baby just is not ready to be on their tummy yet, you know, you can hold them at your shoulder and talk to them, and they’ll lift their head to look at you. You can put them across your lap, and you can encourage that next strength to be built that way, as long as they will tolerate it. There are lots of other ways to do it. And eventually, they will work into enjoying tummy time. But I think that – well, I know that young babies have memory, and they know when something is stressing their body, and they quickly develop an adversity to it, and they don’t want to do it anymore. So if you get off on the wrong foot, give the baby a break for maybe a week, and then try again around play. K Vilay: Very important to have that happen in the context of such a happy and nurturing dynamic with the parent. DeAnn Davies: Yes. And that’s an example of just the smallest moments can build to the greatest successes. K Vilay: And interesting that tummy time is really thought of as that gross motor skill, but really, it’s touching all of the areas of development, the social/emotional, the interaction between the parent and their baby, the language that’s happening, and even what’s happening in the baby’s brain. DeAnn Davies: Yes. Yes. They’re all working together. Development does not happen – we compartmentalize it into development domains, but really, when they’re working on one skill, all of their skills are being developed. K Vilay: Now I want to ask about this, the all-dreaded trip to the grocery store or to Target. How do parents cope with or deal with taking their children to the store? DeAnn Davies: Well, let’s talk about the toddler now. DeAnn Davies: If that’s okay. DeAnn Davies: So I think, first and foremost, you want to make sure it’s a good time for your toddler to go to the store. I think that if you are taking your toddler with you, it’s important to know that you need to get what you came for and get out. You can engage your child with activities. They can – a toddler especially can tell you which bread is heavier, and so you’re working on some math skills there and conceptual skills. You can have them pick which banana they would like, or which orange they would like. So you can engage them. But a little bit goes a long way for a toddler. A store is a very overwhelming place for a young child to be. They just don’t ignore sounds and stimulation like adults do, or even older children do. They can’t discriminate those things out. So think about this way. They’re taking it all in, and if you didn’t have any filters and you’re taking it all in, you too would become overwhelmed. The other thing is we put them in a cart or a stroller and we sit them down, and toddlers don’t like to do that. They need to be up and running around and exploring and learning about everything. Sol if they’re challenging you in a store or a restaurant or anywhere in public, understand that they need a lot of time to be able to get around and get into things, because of their drive for learning. It isn’t because they’re misbehaving. They’re not trying to be naughty. The opposite is true. They’re trying to please their parent. And so when we restrict toddlers for too long in a store like Target, we are asking too much of them. They’re not able to do that at that age. So make it short, make it quick, and get out of there. And if other people – if you do have an incident and other people are looking at you and you’re stuck in a line, and you just need to get out of the store, just keep this in mind. I’m going to tell you, if I’m next to you, that parenting is hard, and that’s all there is to it. Get through it the best you can and get on your way, and try not to let the judgments of other people bother you. That’s really their issue, not yours. K Vilay: So we talked a little earlier about responding to your infant when they cry, and the idea is we’re not spoiling them. We’re actually building up their resiliency, in a way, they’re feeling safe and comfortable in their relationship and the environment that they’re in. Can you talk a little bit more about reading infant cues, and even picking up as you see them sort of on the cusp or the brink of crying or being upset? DeAnn Davies: Sure. I wish we were video right now, because I could show you. I need a baby for this one. But – so babies, when they get stressed, little infants, when they get stressed, they’ll do things like put their hands to their mouth. They’ll rub their eyes. They will not look at you. K Vilay: Oh, they look away. DeAnn Davies: They will avoid you. Yes, they’ll look away when they need a break. Those subtle little behaviors that you see that lead up to crying. So if you can pick up on those little behaviors, and mothers and fathers know what those are, when they look at their baby. And I can go in to talk with a new parent within 24 hours after the birth, and I’ll ask them what they know about their baby. They’re already telling me what cues their baby shows them, that they are tried, that they are hungry, that they are stressed, and I’m encouraging them to respond to those cues. So when you see those cues, that’s the time to respond. Because if you wait, then the baby will fuss and then cry, and some babies go from 0 to 60 in 2.5 seconds, and so they don’t do the fuss. They just do the cry. DeAnn Davies: So the quicker you can move in on those cues, so the baby doesn’t have to cry, that is important. But knowing that newborn babies cry a total of two hours a day, and by the time they’re six weeks of age, that crying peaks, in most babies, not just colicky or whatever we call colicky babies, but most babies peak at six weeks, and cry up to three hours a day. And some babies are inconsolable. You cannot – whatever you do, it does not help. I want parents to realize that’s not your fault. That just is. And it’s not going to be that way forever. So take care of yourselves. Give yourself a little timeout, Mommy, Daddy timeout from the baby. The baby will be fine if you lay the baby in the cradle or crib for a minute or two. And sometimes babies just need to cry it out. They, too, at the end of the day, like to vent. K Vilay: Oh, my goodness, yes, indeed. And as a parent, sometimes it’s a struggle, too, that – oh, I let my baby cry for a few minutes, and I couldn’t get to her right away, and life is so busy. So I know consistency is an issue. If I don’t always respond, is that going to be – is that going to hurt my baby’s development? DeAnn Davies: Well, I’ll leave you with what Dr. T. Berry Brazelton told me many years ago, and that’s that if you get it right 40 percent of the time, you’re doing a great job. And Ed Tronick would tell you – he’s from Harvard, so he’s smart, so we’re going to believe him – he would tell you that parents and babies mismatch about 70 percent of the time. But it’s that 30 percent of the time that they match that has the lasting effect. So please don’t expect perfection. There’s no perfect parent. I don’t even know what a normal parent is. K Vilay: Thank you, DeAnn. I hope you found my conversation with DeAnn helpful. We covered a lot of ground, and you probably have some questions, so this is the part of the Parentz Pod when we talk to you about how you can connect with programs and services in your Arizona community to get more information or to get some one on one help. If you want to learn more about child development, there are a lot of options available. You can call the birth to five help line. It’s a toll free call from anywhere in Arizona, and you can speak directly with a nurse or child development expert about any specific concerns you might have, and or just ask them a question. It’s a fantastic resource. You can ask about anything, sleep, feeding, tantrums, potty training, anything at all. They’re on duty from 8:00 to 8:00 PM Monday through Friday. The phone number is 877-705-KIDS. That’s 877-705-5437. The birth to five help line. It’s operated by Southwest Human Development, with funding from First Things First. You can also take advantage of community-based parenting support programs, like parenting workshops or classes. They’re available all around the state. For example, in Maricopa County, First Things First supports about 30 family resource centers. These are places you can go to take classes about early childhood development, health, and a lot of other topics. You can also get referrals to other services. These programs are available at no cost or low cost, and childcare is often provided while you take classes or get help from the staff. To learn about the First Things First Family Resource Network and find a location near you, visit FamilyResourceAZ.org. It’s not always easy being a parent. It’s not always fun, and can be a challenge. There’s no instruction manual. There can be a ton of information on the web. How do you comb through it all? You also might have friends and family telling you you’re doing it wrong, you have to do it this way. Well, we’re here to help. There are family support programs available in all areas of Arizona, parenting classes, home visiting programs, where professionals in the field of early childhood development can help you be the best parent that you can be to support your child’s development. They’re friendly, free programs that help you support healthy development and learning. your child’s development, the best, first thing to do is get in touch with your pediatrician or health care provider. The Parentz Pod is brought to you by First Things First. 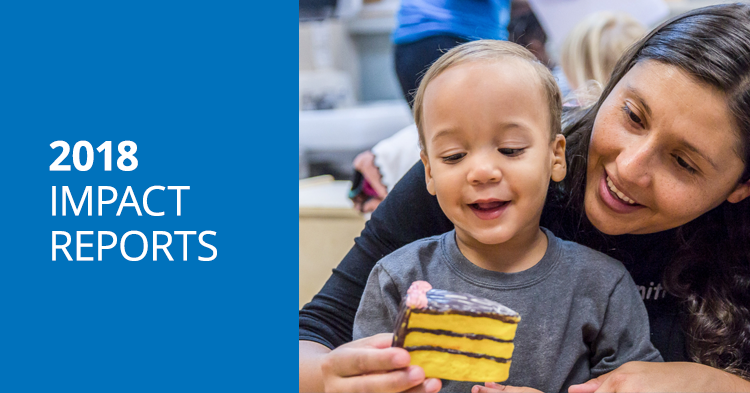 First Things First is committed to supporting the healthy development and learning of Arizona’s young children from birth to age five. 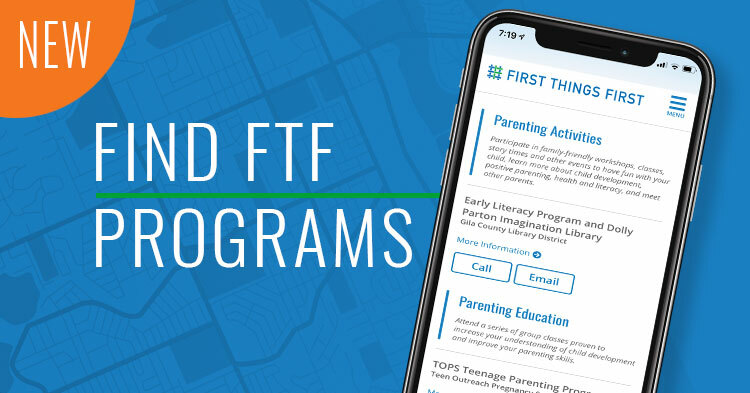 For more information, visit us online at FirstThingsFirst.org.